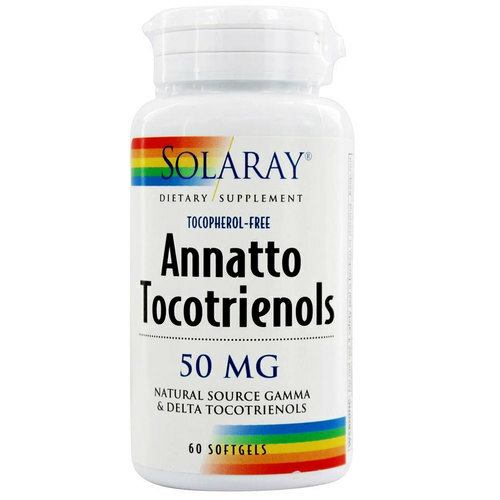 Solaray Annatto Tocotrienols is tocopherol free. Notes: 100% Natural. Artificial Color Free. Artificial Sweetener Free. Artificial Flavors Free. Recommended Use: Use only as directed. Take one to two softgels daily, preferably with an evening meal. Store in a cool, dry place.